After only allowing one combined shot from both Providence and Massachusetts last weekend, UConn will hope to keep the good times rolling with a road trip this weekend as the Huskies head south to challenge Villanova this Friday and Princeton on Sunday. After missing Sunday’s game against UMass, forward Charlotte Veitner is expected to be back at full strength for the weekend slate. 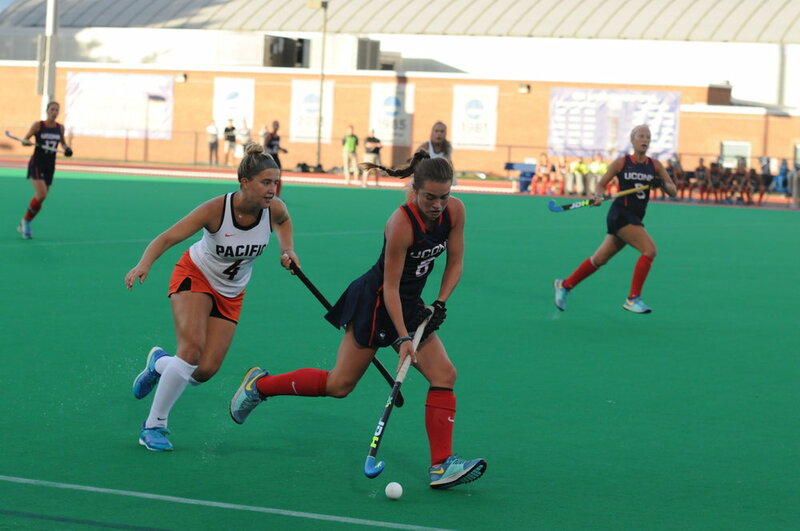 UConn’s top goal scorer suffered a concussion in last Friday’s game against Providence. Head coach Nancy Stevens says Veitner passed all the necessary medical tests during the week and is cleared to return. Vetiner enters the weekend on the verge of history. Veitner’s 97 career goals are tied for the most in program history and the next goal that Veitner scores will be the precedent that everyone entering the program in the future will look up to. In addition to slowing down Veitner, Villanova will be looking to earn their second conference win of the season after beating Quinnipiac last week. Villanova is in the midst of a down year, currently sitting at 3-7, but have a goalie behind them that is capable of singlehandedly keeping her team in games. Erika Miller landed on the Big East Weekly Honor Roll after her nine-save performance against Quinnipiac on Friday. Miller has 66 saves on the season and is also ranked 36th among Division I goalkeepers in save percentage. The Huskies have a world-class goaltender of their own to counter. Nina Klein isn’t seeing a lot of action in net these days, but is one of the more dependable goalkeepers in Division I. Stevens knows that Klein is someone the team can rely on even when the defense isn’t holding teams without a shot on goal. After Friday’s match with Villanova, UConn will then take a quick trip across state lines to challenge Princeton. The No. 14-ranked Tigers come in at 5-5 but played number No. 7 Syracuse to a near-stalemate in their last time out. Stevens believes Princeton is a better team than their record would indicate. Friday’s game against Villanova will begin at 7 p.m. and Sunday’s tilt against the Tigers will begin at noon. Bryan Lambert is a campus correspondent for The Daily Campus. He can be reached via email at bryan.lambert@uconn.edu.